There are lot of things to consider when buying a new mouse. Most look at comfort first. Others will look at DPI and polling and all sorts of fancy gaming stuff. But have you ever considered noise? Well the guys over at Nexus have. 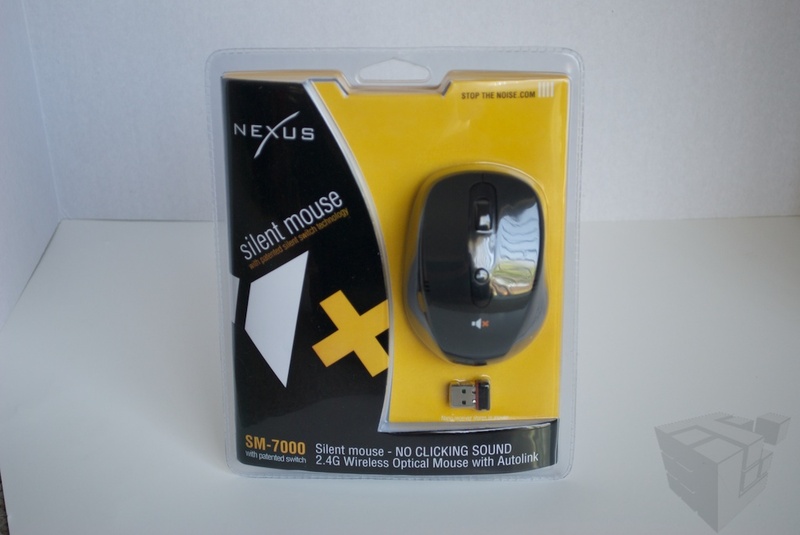 Here we have the Nexus Silent Mouse. It’s silent. As in no clicking sound. The idea is that professionals and noise haters can work in piece and quiet without that obnoxious clicking sound to distract them (they specifically mention TV and Music studios). 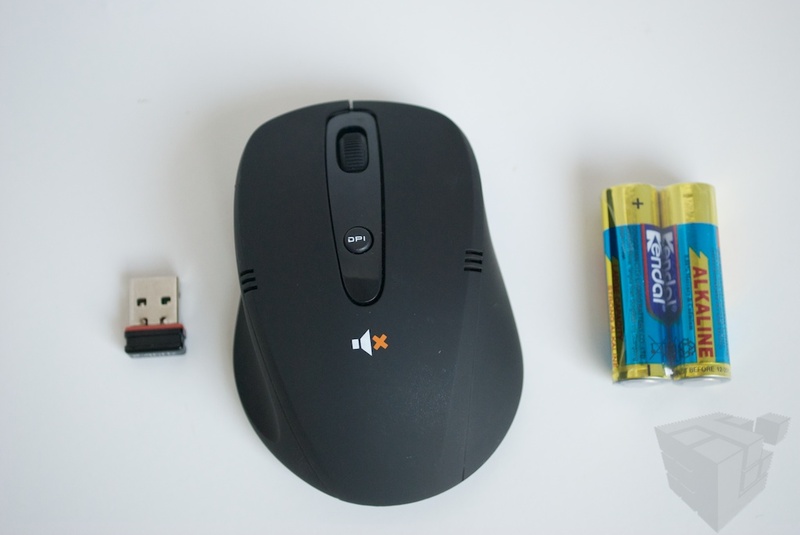 If silence is what you’re after read on for a more in depth look at the Nexus Silent Mouse. The silent mouse comes in the same type of packaging that you’d akin to wrap-rage, but a simple pair of scissors solves that. There isn’t much inside save the mouse and receiver, manual, and batteries. There aren’t any drivers to install. Simple plug in the receiver and you are good to go. For those unclear, this is not a full-sized mouse. It’s more of the mobile size. After further inspection of the mouse, a few details came to my attention. 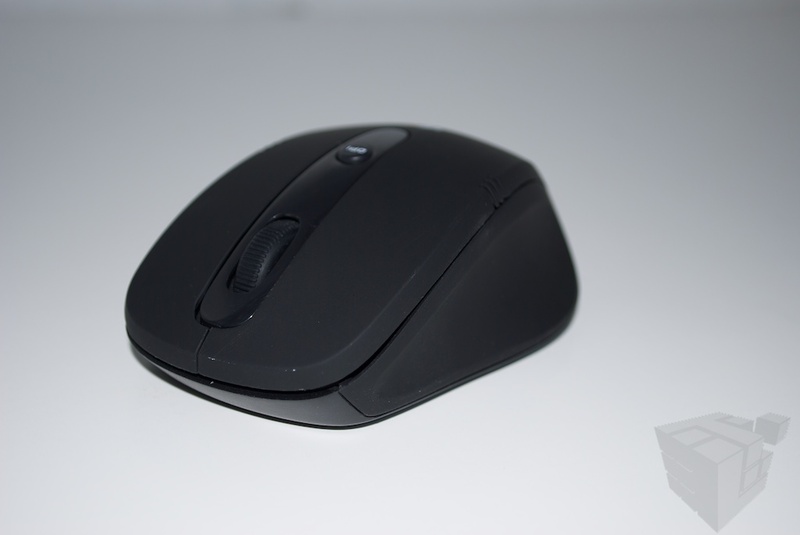 The mouse feels like it’s made of a cheap grade of plastic, but feels sturdy regardless. 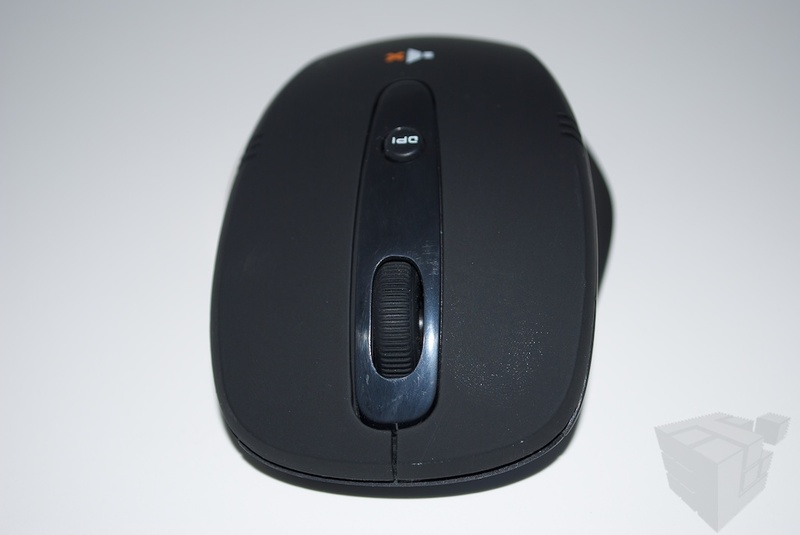 The mouse buttons are smooth (and quite) and the scroll wheel is ok (more on use later). The mouse is not a full sized mouse, but is instead notebook sized. Why they decided this was a good idea is beyond me. 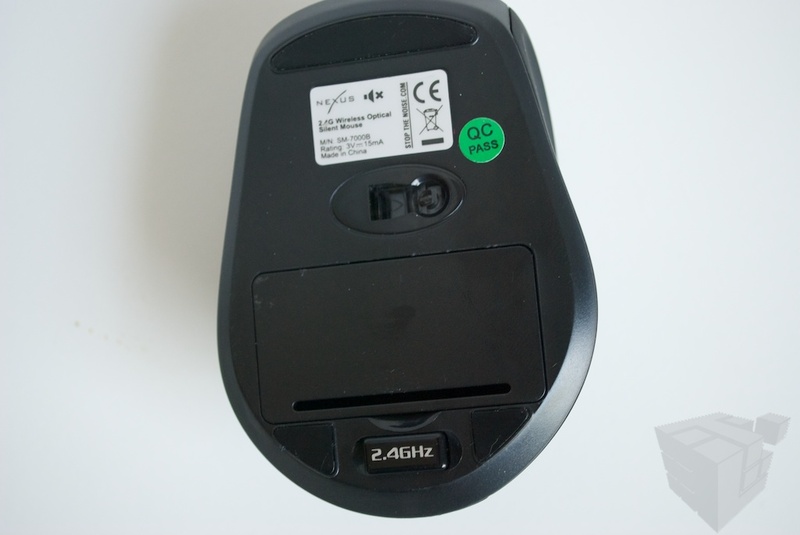 The receiver is, thankfully, a nano-reciever to match the notebook size, and it stores in the mouse. After opening the package and examining the mouse, I took it for a spin. The first thing I noticed upon use was the buttons are indeed silent. But not completely silent. The conventional clicking noise is replaced with a low muted sound that is noticeable, but is very easy to ignore/forget. I’d take a video, but I don’t have a mic that could pic up the sound it makes. Thankfully, Nexus has a video on youtube that shows how many decibels the mouse produces compared to Logitech MX Revolution. It’s not perfectly silent, but it’s about as silent as it’s going to get. The mouse is capable of 1000/1600 DPI which is great for just about anyone that isn’t a serious gamer. Coupled with very smooth feet, the Nexus is a very smooth mouse. It feels very nice and the clicks are solid. The DPI changing button works fine. There really isn’t much to say negatively about this mouse, however, I do have a few things to say. First off, it’s a notebook sized mouse. They are selling this to workstation professionals, and they make it a travel size. While I’m aware that there are many people that like this size, I found it lacking a bit of rear-end for my palm. Second, the scrolls wheel is just awful. It scrolls okay, and is a little stiff, but the real kick is that you to really press to use the middle click. It’s a tiny scroll wheel made of cheap plastic and this hurts my finger. I actually avoided using the middle mouse button after about 15min of use. I think they were also trying to make the middle button silent (which they did) but they didn’t capture the same smooth feel that the left and right buttons have. It feels a little cheap, but it’s not exactly $100 mouse either. For it’s $27ish price it’s very well made. I also don’t like how there aren’t any shoulder buttons for back and forth, but now I’m just being picky. The Nexus Silent mouse is a very nice mouse. It’s smooth and comfortable (for it’s size; my GF loves it) and is indeed silent. If you use the middle button a lot, don’t buy. Otherwise, I can comfortable recommend this mouse for anyone interested. If you don’t care about the silent part, there really isn’t anything to like about this mouse, as you can get the other features for just about any other mouse. But, for about $27 it’s not going to hurt to try.